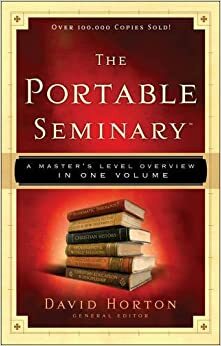 I recently read a book called the Portable Seminary: A Master’s Level Overview in One Volume. The idea is that it covers all of the topics that could come up in seminary. Of course the title is not quite accurate in that it does not come close to providing a seminary education. Each topic is covered fairly briefly (although the book itself is quite thick). However, this book is good as a basic introduction to various Christian topics from a conservative perspective. It is helpful for people searching for an area of interest and the book does give suggestions for further reading. This book could also be helpful as preparation for formal theological education. The Portable Seminary is definitely a helpful resource. Do You Offer Full Serve?